make breadcrumbs, make your grandmama proud! Bread, in it’s most basic form, is a combination of flour, water, yeast, and salt. More “elaborate” doughs still only have a few additions: a pinch of salt, a bit of oil. So it would stand to reason that breadcrumbs would be similarly minimalistic. This is the case if you make your own breadcrumbs. 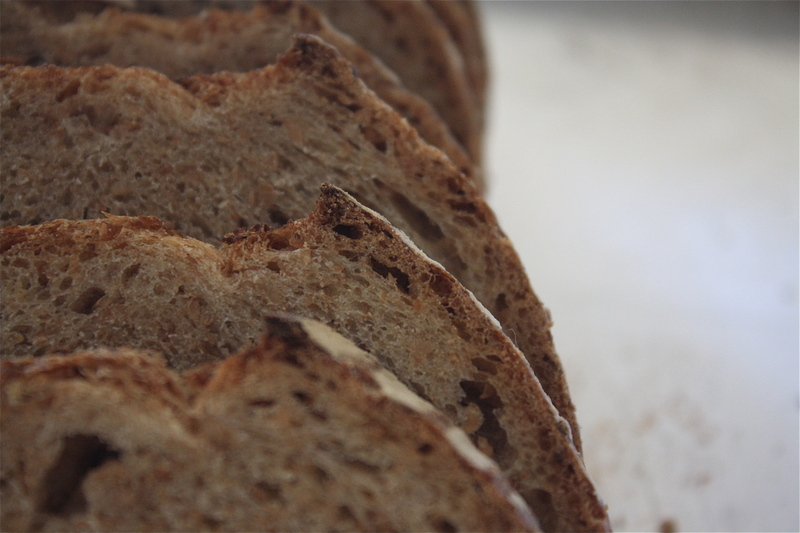 This process is simple, stale bread is pulverized into, well… crumbs. If you’re buying breadcrumbs, stop, please stop. You’re wasting your money. Need another reason? Most store-bought breadcrumbs are filled with preservatives, high fructose corn syrup, and partially hydrogenated oils (a source of those nasty trans-fats). 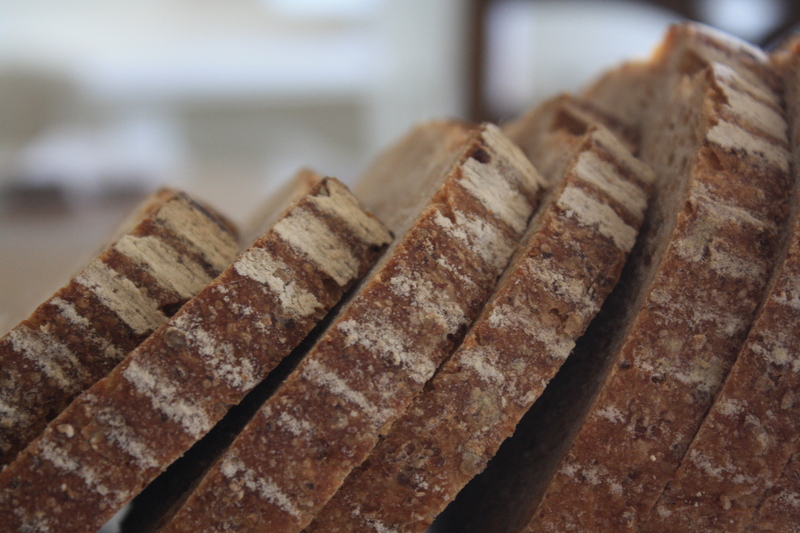 Instead of throwing away bread that is starting to get stale and dry out, let it! You can hurry along the process, and ensure the bread is completely dried out to prevent any mold from growing, by placing sliced or torn bread it in a warm oven (200°F) for 20-30 minutes. Once the bread is cool, double bag it in a sealed zip-lock, and relieve some stress. Find a rolling pin, a heavy saucepan, a mallet if you have one, and bang (carefully!) away. Or, in batches, process the pieces in a food processor/blender. Store in a sealed container in the refrigerator, or freeze. 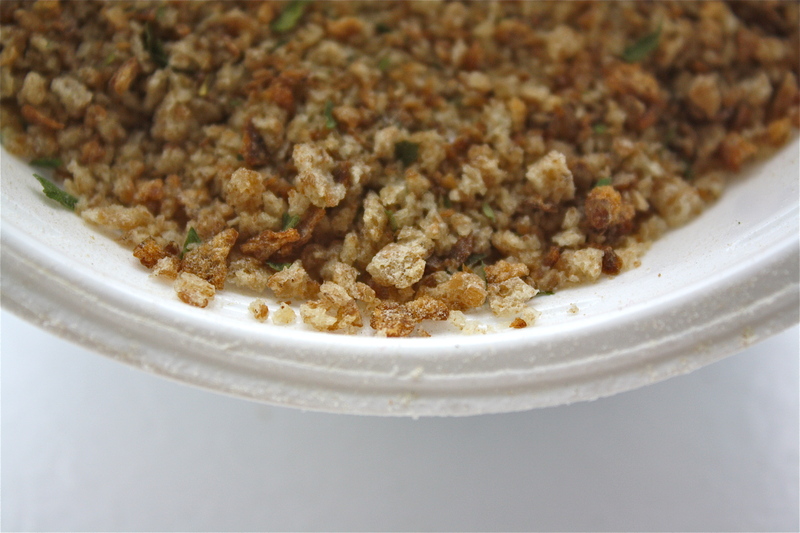 If you like seasoned breadcrumbs, have no fear, just one more step and you can have ’em. 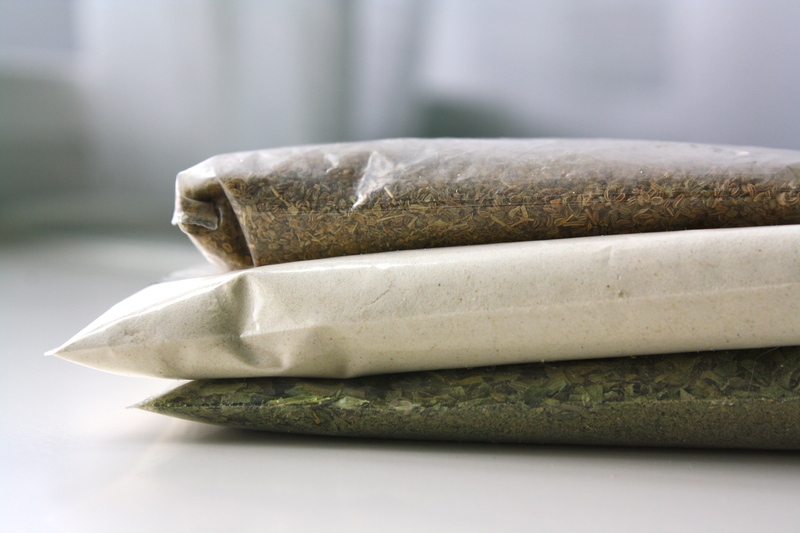 You probably have most of the dried herbs on hand, as well! 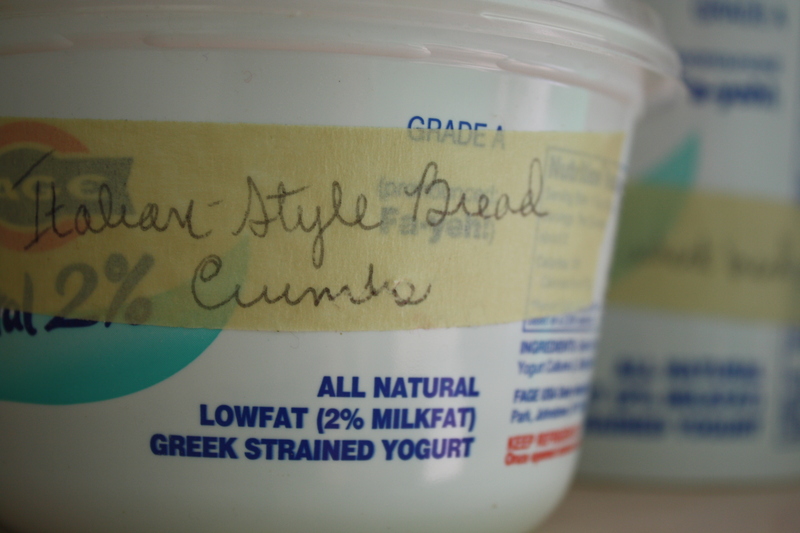 Plus, if you’re like me, you know you need a use for all those leftover yogurt containers hiding in your cupboard. Need one more reason? If you make homemade breadcrumbs, you’ll make your grandma proud (or at least my grandma)! In a small to medium container, preferably with a tightly fitting lid, combine all the ingredients. Cover, or place lid, on container, shake. Shake some more. Keep shaking until well combined. Store on the counter in sealed container or zip-lock bag for up to a week, in the refrigerator for 6 weeks, or in the freezer indefinitely.